As long as the incessant rains do not create a havoc, like in Kerala this year, everyone awaits monsoons in India. We love the rains for many reasons. After the scorching summer season, they drench the Mother Earth to give a respite to the whole country. The rivers and the lakes enjoy the overflow and the whole atmosphere gets romanticized. I am sure we have all had our sweet and sour memories of being caught by surprise or voluntarily stepping out to grab that chance to dance in the first rains. 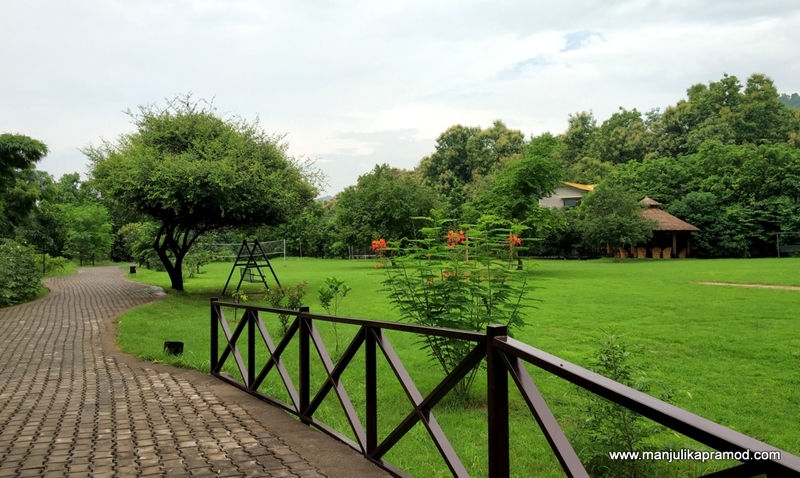 While, I am writing this post from the state of Maharastra, which is one of the best places to enjoy monsoons, I must talk about my monsoon getaway at Aahana, the corbett wilderness resort in Corbett, Ramnagar. Before coming to Mumbai, I visited the place a fortnight ago and the experience turned out to be a beautiful break from the humidity of the capital, New Delhi. HOW DID YOU TRAVEL TO RAMNAGAR? For Ramnagar, I usually prefer traveling by train. I find the above trains extremely convenient if road trip is not on mind. The onward train starts at 4 p.m. in the late afternoon and reaches the destination by 9 p.m. One can reach their resorts and hotels well in time and catch up with dinner. Spend two days in the lap of nature and return to the city. The train that I prefer and suggest for return journey starts at 10 p.m. from Ramnagar station and very conveniently brings you to Delhi at 4 a.m.
Birding in Monsoons! Also tell me the name of the bird if you know. I was looking forward to my visit to Aahana resorts for two reasons. 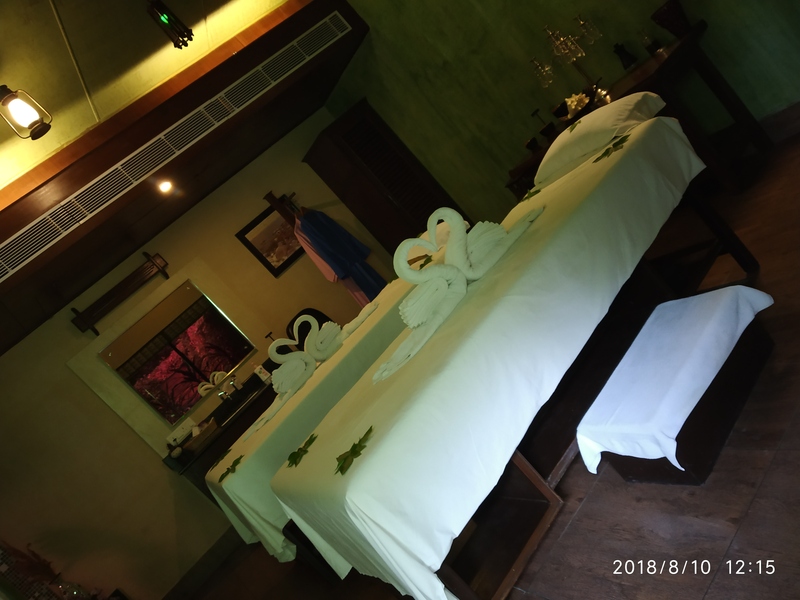 Firstly, I had heard a lot about its beautifully designed landscape and secondly for its holistic therapies which are offered at its Naturopathy center too. Another very important aspect that puts it into the list of 25 best resorts of India is its effort towards responsible tourism/green tourism. I like visiting such places which are actually doing something different. Let me take you on a virtual trip there. There are a lot of things that I really liked about it. 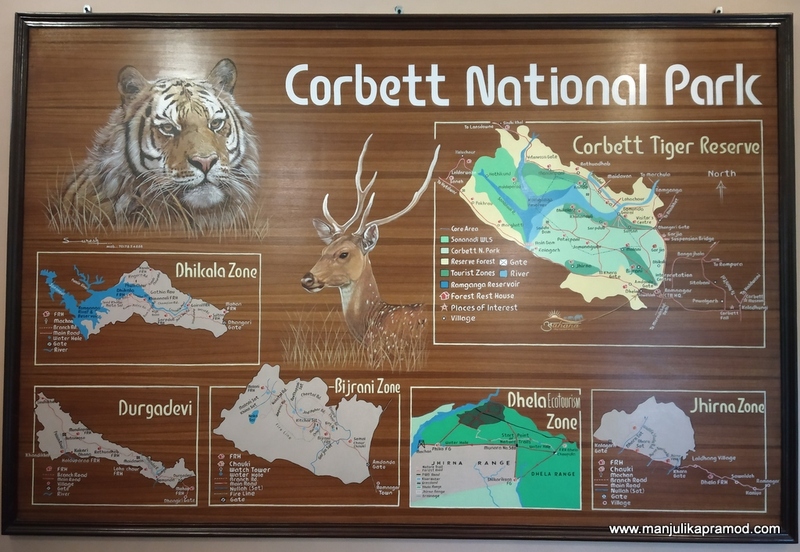 From the wildlife and safari aspect, August is not a very encouraging month to visit Corbett but if you are looking for a short and peaceful holiday, especially a monsoon getaway from the crowd of Delhi, this can definitely be a choice. Having been to Corbett and its jungles a number of times during other months, I was actually looking forward to this rainy season visit. Not very far from the city station, it is located in the Sawaldeh village in Ram Nagar. The huge landscape exudes luxurious vibes from all its corners. 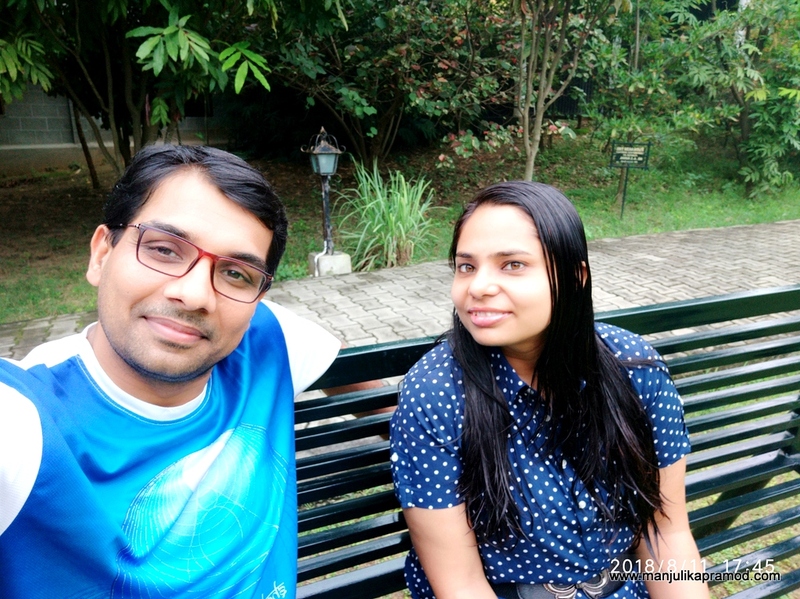 Hubby and I arrived at Ram Nagar in the night. We were warmly received by one of the staff guys at the railway station. After a drive of 15 minutes, we entered Aahana. What followed next was a quick check in and a walk towards our room. I really liked the mini bridge and it was good to learn that it was open to use for nearby villagers too. It shortened their walking time from one side to another. At that hour of the day, all that we needed was a comfortable bed in a well-done room. Thankfully, everything turned out to be as per expectations. Our suite room was huge and stood for bedroom as well as living room together. Not to forget it had a huge washroom and a balcony too. We were handed over the menu and suggested to order anything from the kitchen. The good people worked on our order in thirty minutes and served us in the room. We were hungry and we loved the food. As we walked, we also learned that this resort shares boundary wall with Bijrani Zone of Corbett. A great room to come to after a train journey. Next morning was the real beginning of the holiday. I got up late and went for a lazy and late breakfast. It was raining and every tree, flower, fruit and plant looked clean and beautiful after the wash. The campus was smiling with greenery. Mr. Romesh Barlow (Manager – Guest relations and Jungle activities) met us at the promised time and took us for a nature walk. The weather was very pleasant and it made the experience all the more enjoyable. 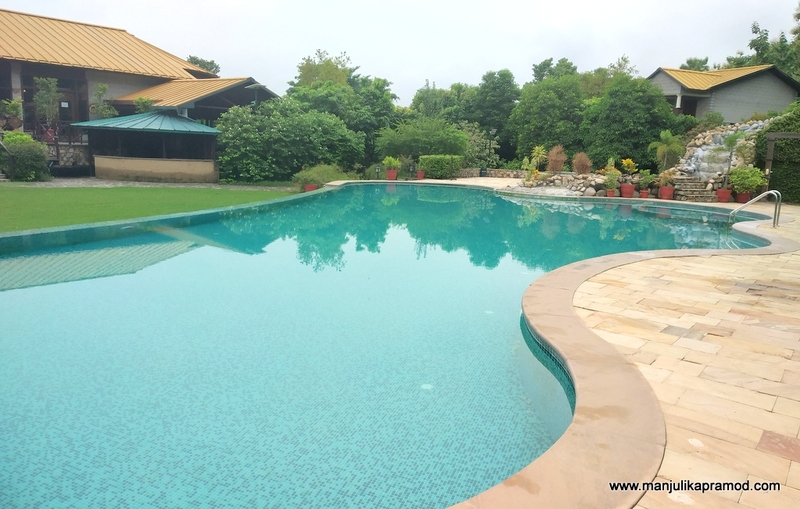 He gave us a thorough insight around the flora and fauna of the property, number of rooms, types of rooms, different blocks and how things worked at Aahana. He also explained the complete working of the STP (sewage treatment plant) and I was quite impressed to know how roots of canna plant are being used to treat waste water which is used to water all the plants in the campus. This is a great example of using nature to give back to nature. 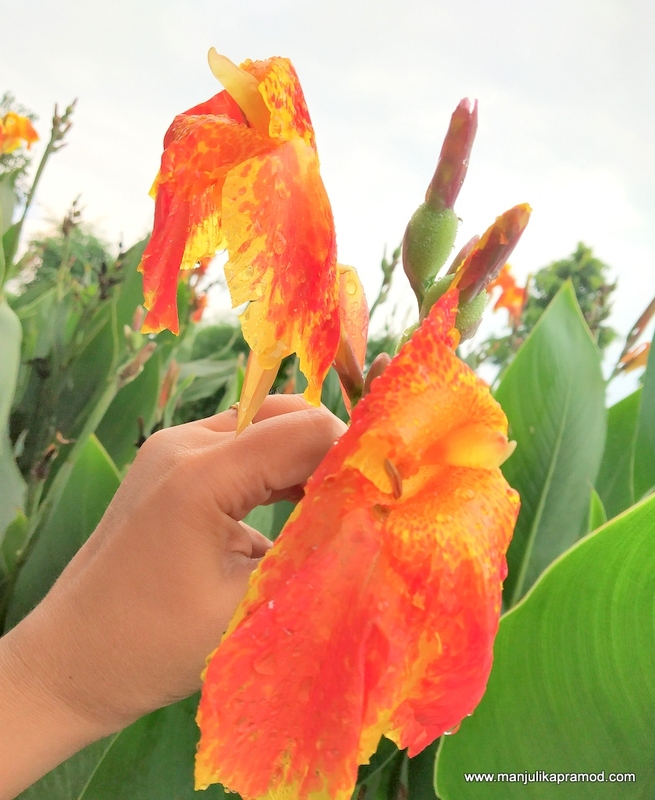 I was just not even aware that grey water can be recycled with the roots of plants like Canna. It is among the few plants which supplies oxygen to the soil in the root zones. Using this oxygen, the soil bacteria breaks down organic compounds in grey water and renders the water clean. 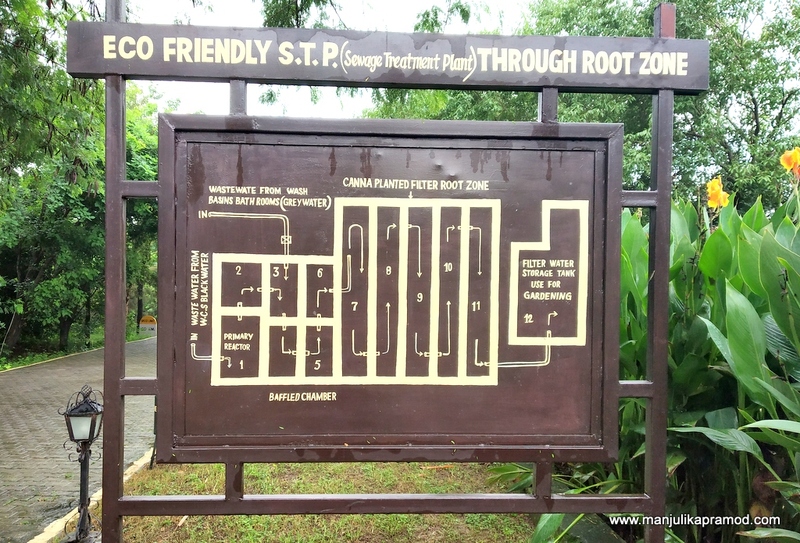 The information boards at the sides of the walking path were very strategically placed in different sections of the compound. 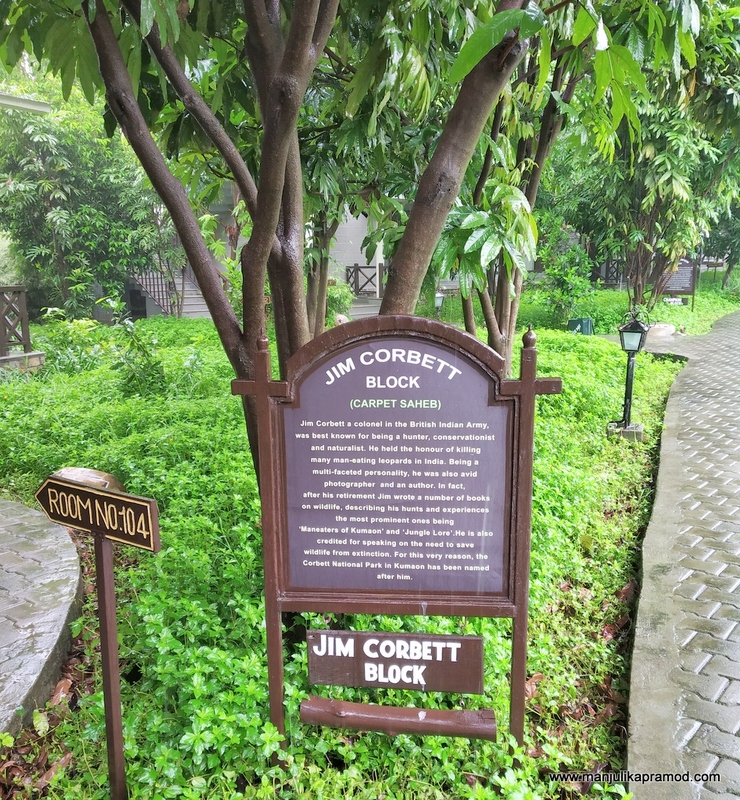 There carried a lot of relevant information about plants, about Corbett and the people associated with its development. 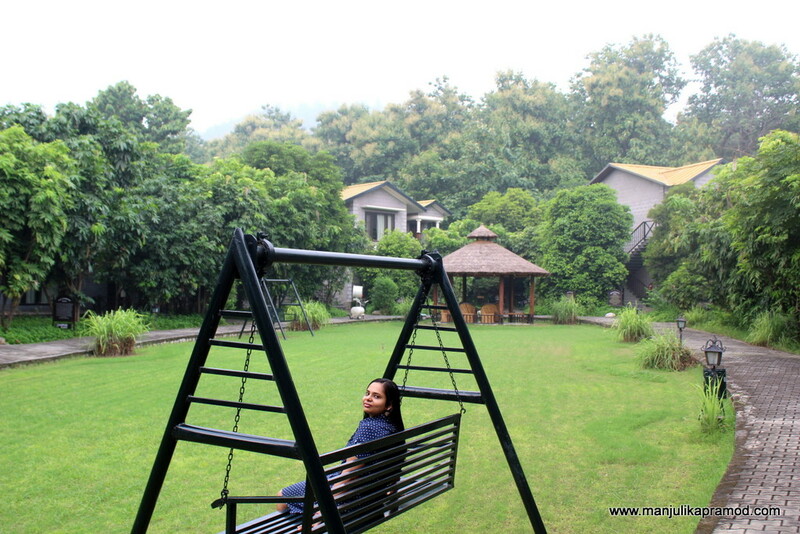 After lunch, hubby and I rested for a while and enjoyed the serenity of the place by sitting on a swing. We also went to the recreation room and played Carrom and chess before going for a walk in the evening. The walk became all the more interesting as we were accompanied by an onsite naturalist who helped us with spotting beautiful birds. 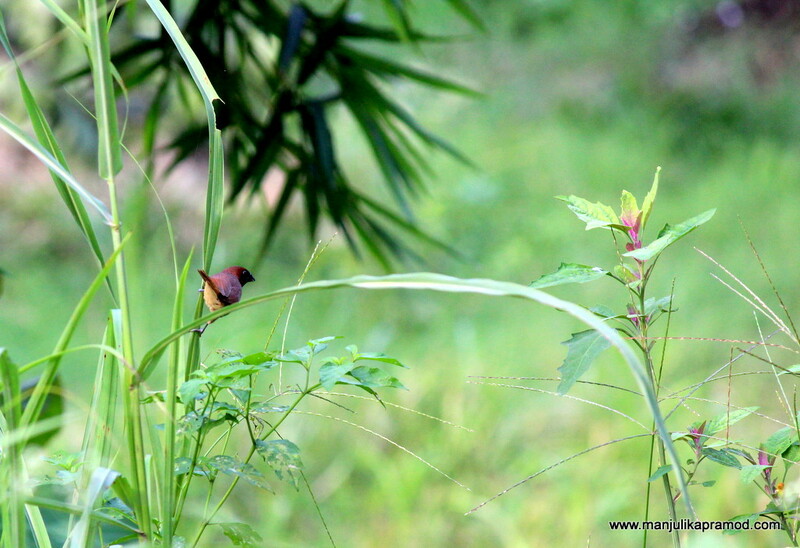 In the last few years, I have become extremely fond of birding with my frequent travels to wildlife resorts. 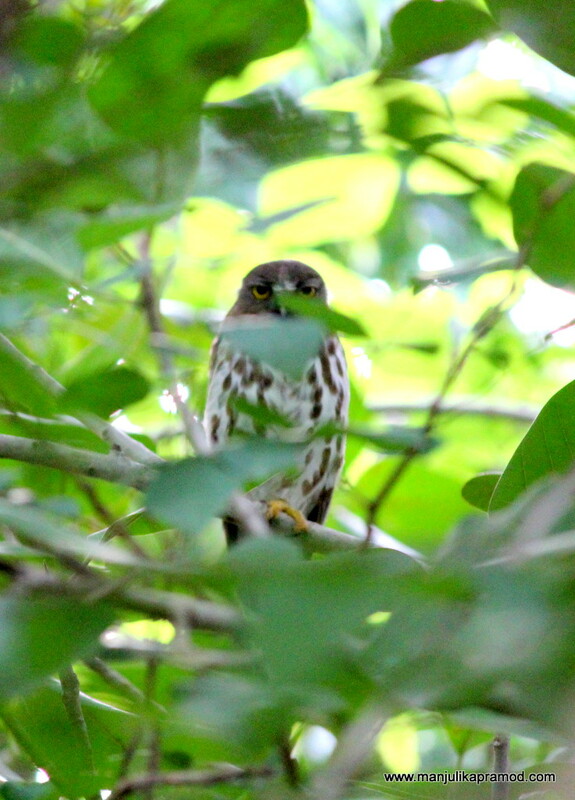 Even on a rainy day, we spotted around 12 different types of birds and the owl was a surprise find. And these beauties made my day!! The nature was smiling everywhere. I would really like to appreciate the fact that the resort provides for a driver’s room too at an extra charge of Rs. 100. So if you are planning to drive down, there would be no issue for your driver. I have noticed a lot of well established hotels don’t have a room for drivers and they are forced to sleep in the car. During the walk, I also spotted a big board talking about Jyounti Patta, very close to the reception area. I was elated. My new travel and art series is all about discovering art in all forms from all places that I visit. Local art is the best find always. I asked for more details and I am glad Mr. Romesh helped me with a huge poster which carried enough information about it. This is Jyounti Patta, a Kumaoni folk #art. The dinner was a little low key because we picked up some wrong choices from the menu. The lunch had been fine. 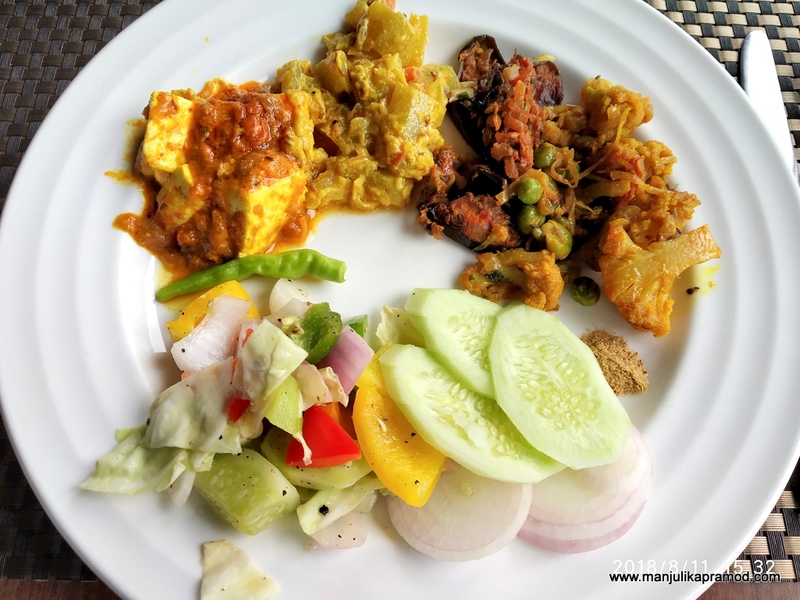 However, the lavish buffet on the 2nd day, both at lunch and dinner time made up for this day. They grow a lot of things in-house and use it for cooking. 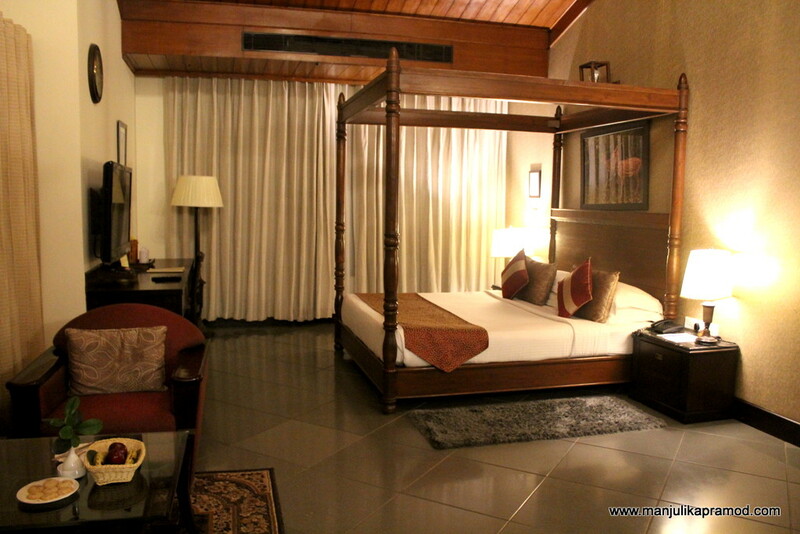 I had allocated the whole day for understanding and experiencing the wellness aspect of the resort. They have a big and beautiful spa area and you can find all kinds of massages. The most interesting part is that they have a Naturopathy center in the form of a wellness retreat. You can avail all kinds of massages in here. However for weight loss and other lifestyle changes, they use Naturopathy for cure. 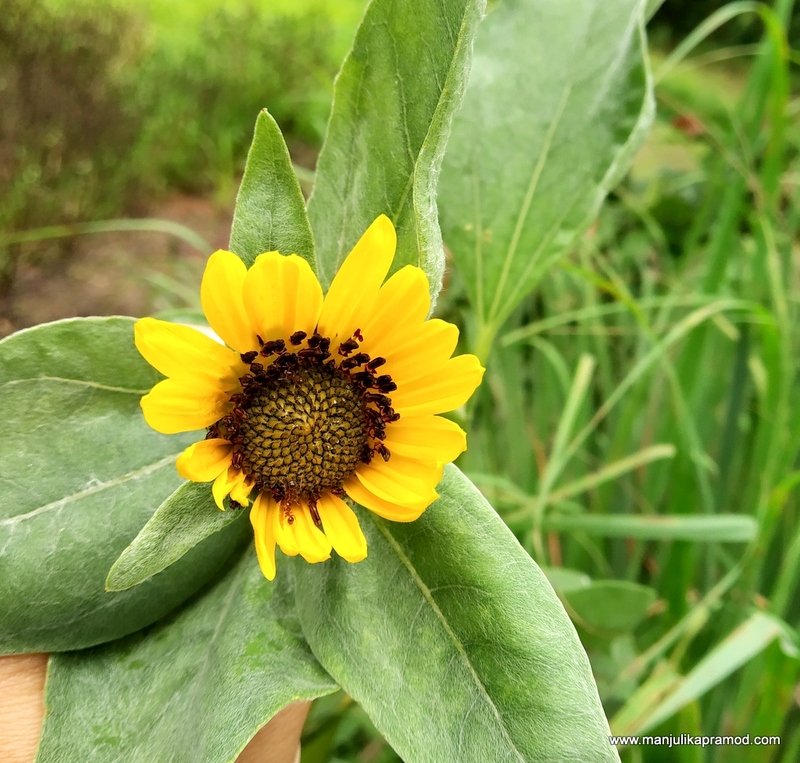 Here, one can learn how nature can help us cure and how naturopathy differs with other therapies or branches of medicines. A lot of people have benefited from their residential wellness packages. I am glad Dr. Bhushan could spare some time and help me understand a few things that I had been ignorant about. I will do a detailed post about all that I learned about Naturopathy. For now, I will just share that my ‘Shirodhara treatment’ on hair and ‘Potli massage’ on the body were one of the best experiences that I have had in India. There was no rush about anything and the masseur invested a lot of time to do both the things. When they say, its all about luxury, they mean it too. I literally used more than half of the day for my wellness and rejuvenation. After a light lunch and some rest, we walked around the property for some photography. My husband was generous and he helped me with some good clicks. Later, we played some games, had a good dinner and proceeded to the station. It was literally pouring that night and I wanted to stay. But we had to return back to Delhi. It was a beautiful 2-days getaway. Thank you #Fabnest for this fabulous maxi dress with cold shoulders.